Backup and Recovery – Advent Technologies Inc. Advent Technologies specializes in creating custom backup and storage solutions that provide reliability, redundancy, ease of use, and a thought out recovery process for any emergency. Backups are only one part of keeping your data safe. Just as important is the design and maintenance of your existing storage solution, and the planning and implementation of your recovery process in the event of an emergency. We provide a wide array of different backup solutions to meet the range of our customers’ needs. From software based solutions for individuals and small businesses, to hardware enhanced options for those companies that need fast recovery and immediate fail-over in crisis situations. 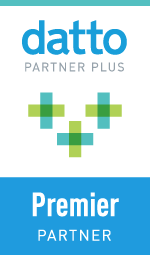 As a Premier partner with Datto, we are experts on their full lineup of backup products and solutions. Contact us for a free backup and recovery assessment.